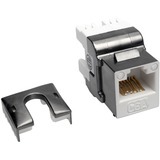 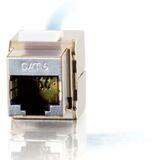 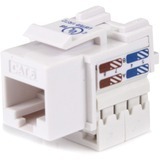 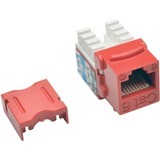 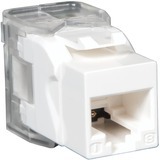 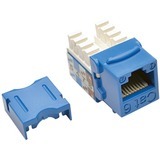 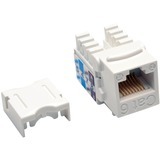 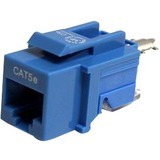 Tripp Lite's Cat6/Cat5e 110 Style Punch Down Keystone Jacks provide maximum flexibility for any UTP Ethernet environment. 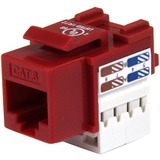 Ideal for Cat5e cabling environments, the jack also meets UL-certified ANSI/TIA/EIA-568-B.2-1 Permanent Link/Channel Identification Test for Category 6 cabling installations. 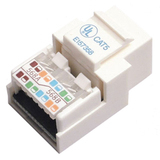 The uniquely patterned printed circuit board construction is designed to meet CAT6 250Mhz performance, and is fully compliant with EIA/TIA CAT6 connecting hardware specifications. 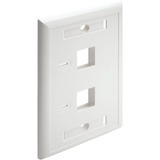 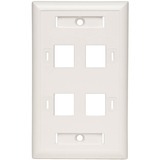 With its compact casing, it fits into any conventional face plate, outlet box, or panel. 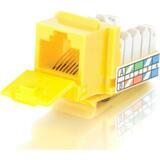 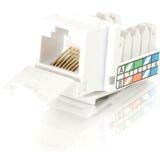 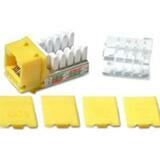 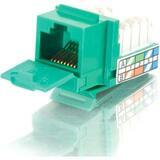 It also features dual-color coded labeling made for both 568A & 568B (258A) wiring schemes.